Today, we have author, blogger, and book reviewer Rosie Amber chatting about her multi-layered life. My second act journey began as my youngest child’s Primary education journey came to an end. It felt like the ending of an era and I wanted to have something to remember it by for myself and my friends. So I wrote a book loosely based on all my experiences along the years of Primary school education. In just three months I had my book full of fun memories covering incidents from the eleven years that our family had been going to a small village school. It’s called Talk of The Playground. I never thought much further than that, but my friend introduced me to self-publishing. 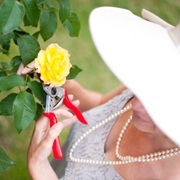 I had no budget for anything to do with the book, I’m a full time house-wife with a part-time job as a farm secretary. Suddenly, like so many, I could fulfill the lifetime dream of writing and publishing a book. It became a drug, a published book, Wow! I kept looking at it on Amazon and asking is that really me? I approached the book so innocently, no plans, no marketing, no author platform, I knew nothing about all this. I was not a social bunny, I had a desktop and laptop computer, no iPhone, not even a Kindle. Suddenly I had a thirst to learn how I could sell my book, how I could connect with the writing world. Luckily I have a very good friend, she introduced me to blogging. First we tried Tumbler, but the audience was wrong. Then we started on WordPress, one lesson at a time. Next it was Twitter and finally an author page on Facebook. Two years ago I knew nothing about social networking, now I work really hard at it. I’ve always loved reading so I filled my blog with book reviews. Really poor book reviews to start with but I learned from my mistakes along the way. In 2013 I joined the A-Z blogging tour and my reading audience boomed. I participated in the tour again in 2014. Each time I promote author’s books. I also read a book which sent me in a new direction. A Year of Doing Good by Judith O’Reilly was an experiment by Judith to do one Good Deed a day for a year. As I began the book I challenged myself to try the same experiment. I became so aware of opportunities to help others, clean up the planet and be a better person, that I completed my own year and am now carrying on and am into my second year. I post weekly updates on my blog every Sunday. Sometimes it’s as easy as picking up litter, phoning a friend or baking a cake, but I have inspired others too. Recently I had a lovely comment from a author in America, he said I have made him very aware of Good deed opportunities in his life and he doesn’t pass them by because he feels I would be disappointed if he did. I now have lots of people who come to my blog for book reviews, and guest author pieces. I give my service for free, I enjoy helping others. In June I ran a Book Review Challenge series, giving advice on book reviews. I had guest posts from other book reviewers, authors on the need for book reviews and a publisher. Authors gave free books to readers who wanted to take up the challenge of writing book reviews. It was such a success that I then launched a Book Reviewing Team. This offers authors access to several reviewers all from one place. Again the service is free and voluntary on the behalf of the reviewers. Anyone who loves reading can join, and I am happy to discuss books with authors who would like their book reviewed, either by myself or by the team members. Not one to sit still, I like to keep my blog fresh, with plenty for everyone. I have now blogged for almost two years and have posted nearly every day on those two years in an effort to build up an interacting audience of readers. Last week I was introduced to author and Twitter Queen Rayne Hall (@RayneHall) She has written a great book for authors called Twitter for Writers. This week I reviewed her book and she was a recent guest offering 12 Twitter tips for writers, which was fantastic. 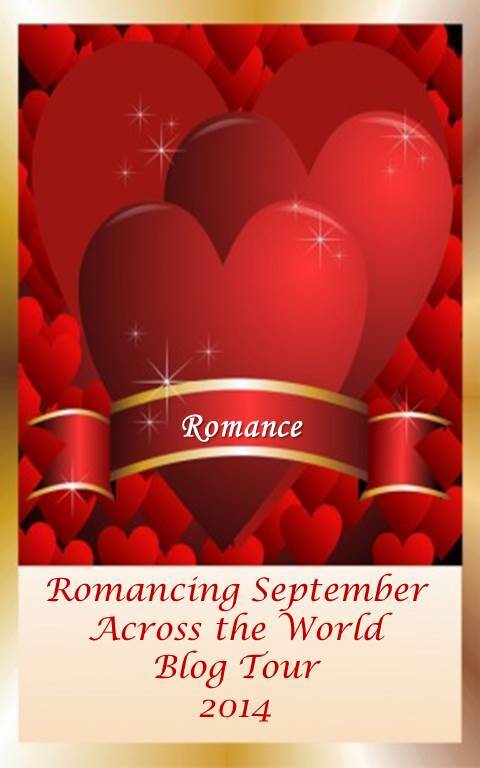 My next project is Romancing September Across The World. A tour of Romance books co-hosted with Stephanie Hurt from Georgia, USA. We offer a double exposure of each book on a given day in September. My own writing journey has gone full circle, I am now doing a big edit on Talk of the Playground and am closely working with Alison Williams. A result of reading and reviewing, my awareness of what works and what needs improvement has shown me that now I need to edit my book to make it more than just a lovely memory for myself and my friends. If I want to reach an audience I need to make the book connect to the readers who don’t know the English school system or who have never been in a village school playground, where you may well see and hear things that will make your eyes pop out of your head. I’ve taken my book down from Amazon, I’ve grown as a writer and a person from my two years in the blogging world. I really am a different better person. I am impressed and inspired by your generosity of spirit. You are making a difference in the global writing community. Molte grazie! 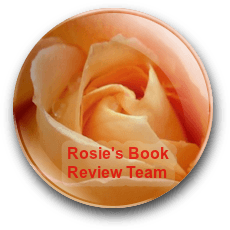 This entry was posted in Guest Blogging, Inspiration, Second Acts and tagged A Year of Doing Good, A-Z Blogging Tour, Book Review Challenge, Joanne Guidoccio, Judith O'Reilly, Rayne Hall, Romancing September Across the World, Rosie Amber, Twitter for Writers. Bookmark the permalink. Rosie, so wonderful to read this! One step at a time and so much accomplished! Well done 🙂 May your successes continue and grow in every way. Thank you for being you. Rosie, it was wonderful to hear your back story! You are amazing! Thanks to Joanne for posting this. Today I’m chatting to Joanne about how blogging and writing have changed my life. Thank you Joanne, I find I wear my heart on my sleeve, but I do love what I do.